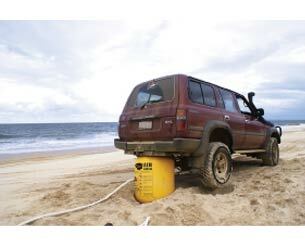 Situated at Garbutt in Townsville, we welcome you to the greatest 4x4 specialised facility in North Queensland! Opposite Lock Townsville has opened its massive showroom doors to display the largest range of 4x4 parts and accessories along with our wide-ranging stock-list completely dedicated to 4x4 vehicles of every make and model. We offer 4x4 vehicles at competitive prices, as well as used car warranty, vehicle finance & insurance services; as well as an on-site mechanic with expertise to custom fit your 4x4 vehicle with genuine 4x4 parts & accessories. Our friendly service staff are always here to lend a hand with any concerns, advice or questions that may need answering. 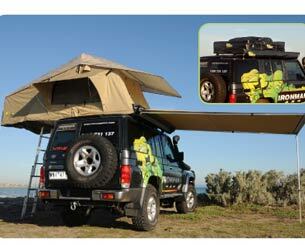 Opposite Lock Townsville has a diverse choice of camping accessories and 4x4 products available at our Townsville showroom. 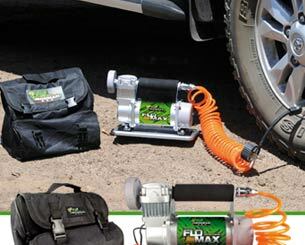 We stock the leading brands in 4x4 products that will assist you in all your off-road 4x4 exploring! 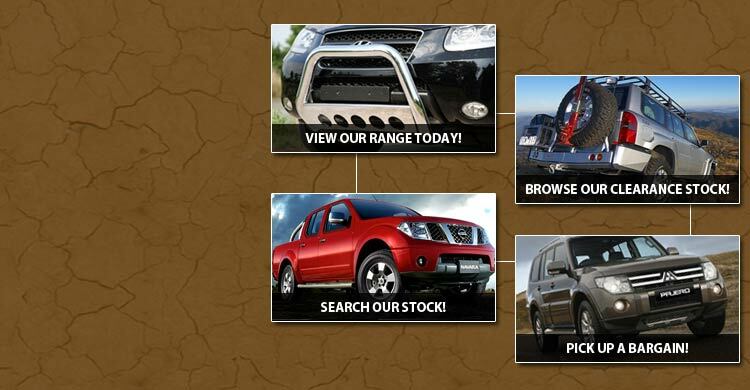 Check out our extensive list of 4x4 brands and products here. You are invited to browse our products in our Online Store. If you do not find what you are looking for, please feel free to contact us and we will endeavour to help you from our extensive line-up of suppliers and industry contacts. How long has Opposite Lock been in Townsville? We have been satisfying customers since 2003, although our new facility only recently opened its doors on 18th December, 2009. Do you only supply accessories and products for Toyota's? 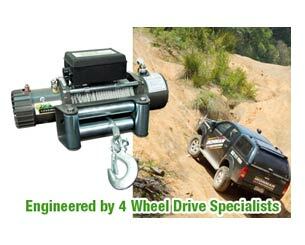 No we supply products for all types of vehicles & not only 4x4's. Where exactly is the Opposite Lock Townsville store located? Our address is 124 to 154 Duckworth Street, GARBUTT QLD 4814. Find us next to Nobody's Used Cars, down the road from Mike Carney Toyota. Unfortunately no, BUT our friendly staff are happy to take you anywhere in town you need to go. Is the product I am fitting to my vehicle road legal? 90% of all Opposite Lock supplied products are road legal; however we do also supply products that are meant for off road use only. Our staff will advise you on this but if you still choose to fit the product please be aware that it is at your own risk and liability. Can I fit more than a 2 inch or 50mm suspension lift to my vehicle? The short answer is NO; QLD transport states that a maximum of 2 inch or 50mm is all that's legal. We are happy to supply larger kits should you require them for off road use only. Could the accessory I am fitting affect my new vehicle manufacturer warranty? Yes, any alterations you make to your vehicle from standard could affect or potentially void part or all of your manufacturers warranty. It is up to you to check with your vehicle manufacturer to see if your car will be affected by the product you are fitting. What warranty do I receive from Opposite Lock Townsville? We offer a 2 year warranty on workmanship only. The product warranty is decided by the relevant supplier for each individual product. Should you have a problem we are happy to help you with warranty. However please be aware you may be responsible for the labour cost to remove and refit the product and the relevant freight costs to return the product to the supplier for warranty. Why choose a used 4x4 vehicle instead of a new 4x4 or 2wd? When considering the purchase of a new or used vehicle either for family, work or personal use, it is only reasonable to shop around to ensure you are getting the very best that your money can buy. Often, the most difficult part of the decision process is the choice whether to buy a new or used vehicle, followed by your preference in body type and how practical each option will be in your overall daily use. Does Opposite Lock sell anything other than 4x4 vehicles? Yes! Opposite Lock has a large range of top quality passenger and commercial vehicles as well as their great selection of 4x4s. This means that you can choose from small cars, large cars, performance cars, people movers and 4x2 utility vehicles. At Opposite Lock we aim to have everything you need.